This is what "the morning after" looks like. All around town, there are little pockets of fireworks trash lining the gutters. 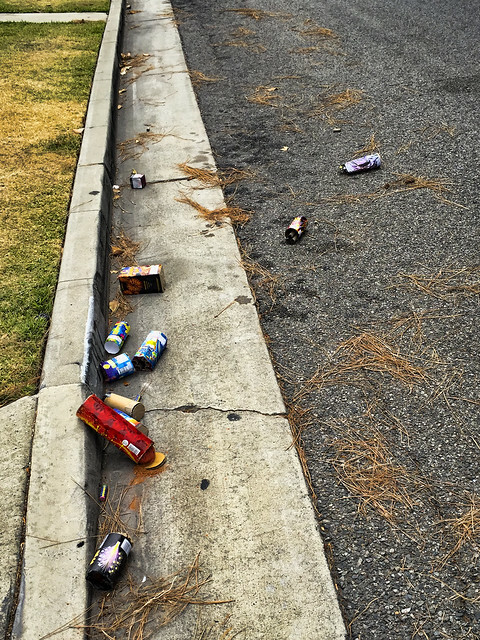 So please, everyone, help keep Downey beautiful by picking up a little bit of trash in your neighborhood this week.